Austin, Tx – This week RoverPass launched its first monthly rewards program, Rover Review Rewards. 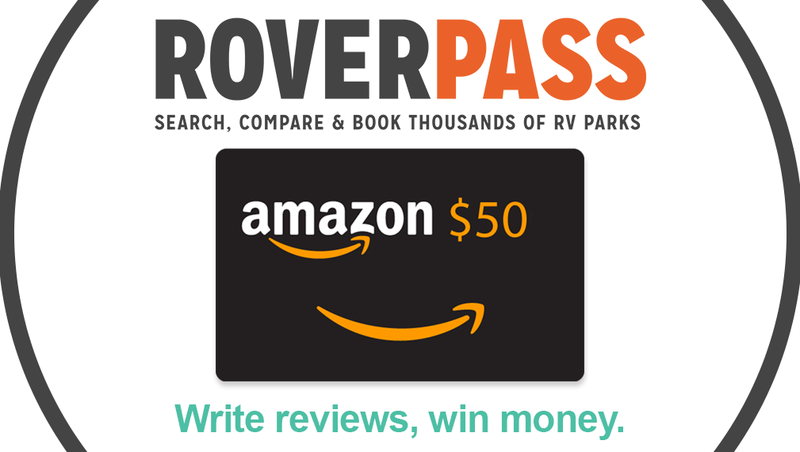 The program offers all users a chance to win a $50 Amazon gift card by simply writing reviews of the parks they visit on roverpass.com. Winners will be randomly selected at the end of each month from the pool of users that have written reviews. Each review a user writes will submit their name into the drawing again. The users who write more reviews have a higher chance of winning. On the first of each month, RoverPass will announce a winner for $50 Amazon gift card. The winners will be notified via the emails used on their RoverPass accounts. 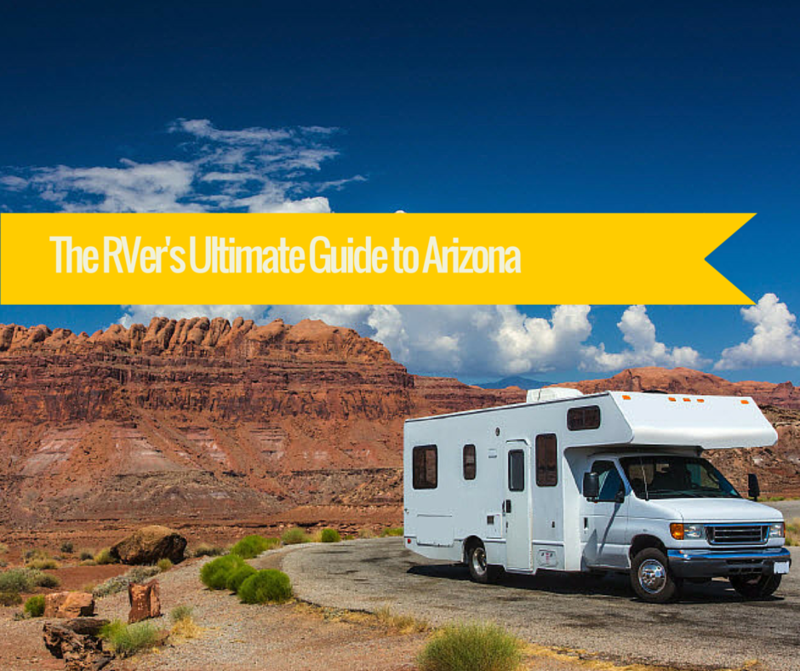 The intention for Rover Reviews is to increase the number of RV park reviews on roverpass.com so that users are not only more active, but able to stay informed about what to expect from the parks they visit during their travel. Rover Reviews launches on April 19, 2016, and the first winner of the Rover Review Rewards Program will be announced on June 1st, 2016. For more information about the Rover Review Rewards Program, visit the official Rover Review Rewards Page. This page contains frequently asked questions, a video summary and illustrated instructions on how to write a review on the RoverPass website. RoverPass is an online booking service that allows RVers to search, compare and book thousands of RV parks across the nation in one place. 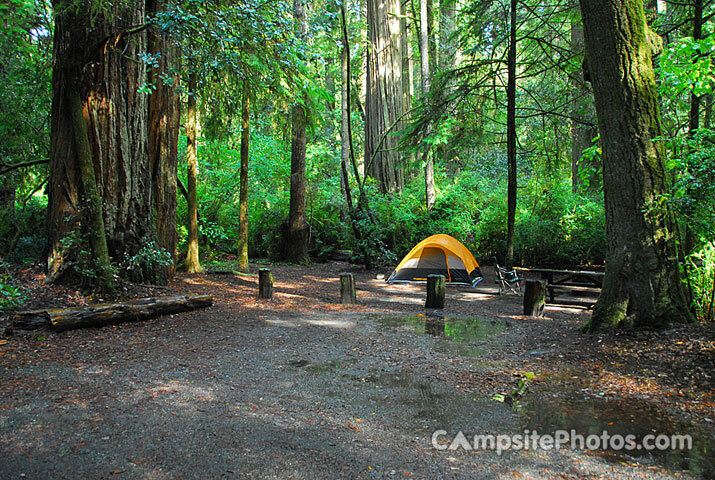 Save at hundreds of parks nationwide with the RoverPass RV Club; discounts between 10-50% off. 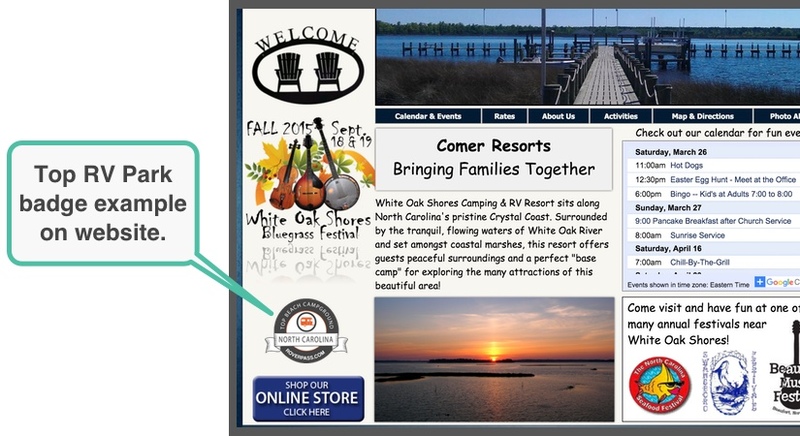 RV parks and campgrounds can access free web tools to help them grow their business.